Hello! This website features over 20 years of my work as a writer, series developer, story artist, historian, character designer, animator, journalist, and aficionado of fantastic entertainment. Click on the Books and Articles tabs for my nonfiction work. Take a look in the portfolio section, where you can view my illustrations and storyboards that I’ve done for series such as The Simpsons, Scooby Doo, Spaceballs, Courage the Cowardly Dog and 101 Dalmatians. The video section shows my special effects reel, along with a demonstration on storyboards and character design presented on a PBS affiliate. You’ll find some great Star Wars and fan-related periodicals in my shop. 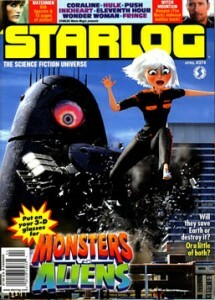 For fun, take the Science-Fiction Stumpers quizzes. My Star Wars Historical Sourcebook catalogs over 30 years of literature and lore on the original trilogy. “Apatoons” provides behind-the-scenes and how-to articles in animation. Click on “The Justice Dragon” for a peek at an exciting new series I’m developing. 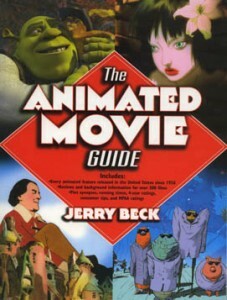 Contributing author to The Animated Movie Guide by Jerry Beck. Dragon Ball Super: Broly premieres! An Interview by Katie Leigh!